A tear drop flag is a fantastic way to make your company’s message seen clearly. 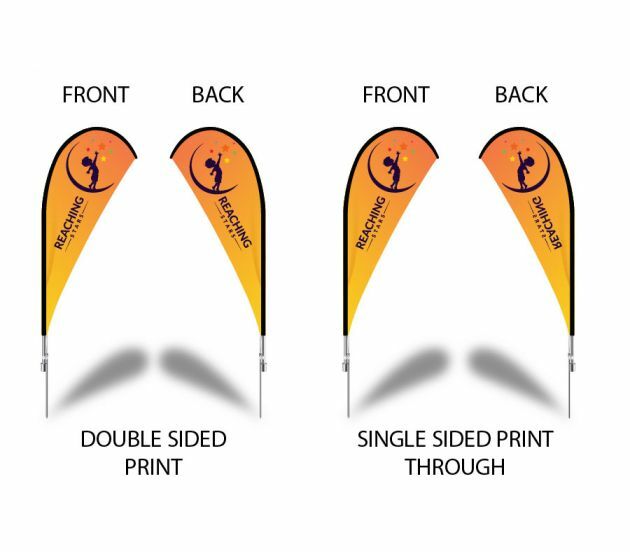 These versatile flags are commonly used at trade shows, corporate and sporting events, auto dealers, retail stores, and general and off-site promotions. Of course, you’re only limited to your imagination. 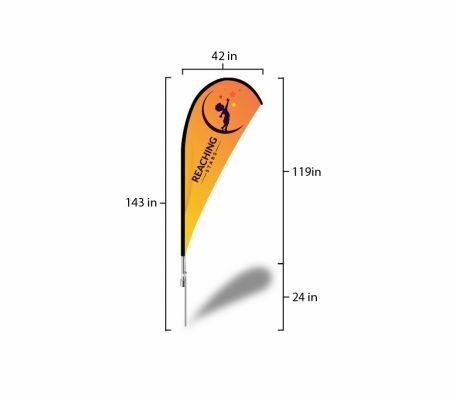 Ideal for outdoor or indoor use, these handy flags will provide years of service. Unlike traditional flags, a tear drop flag is always clearly visible. It won’t wrap around a pole on a windy day or collapse on a still one. Switching out the replaceable fabric skins is a breeze, allowing you to cater your message or image to specific events. We’re known for selling high-quality promotional materials that fit comfortably within the budget. Our customers also appreciate our commitment to providing outstanding customer service. If you need help planning your tear drop flag order, we’re just a quick phone call or email away. Customer satisfaction is our guarantee, so please don’t hesitate to get in touch for any reason. We proudly offer the fastest turnaround times in the industry. If you place your order by noon PST, we’ll ship your flags out today. To speak with a qualified expert, give us a call at (702) 754-6360. You can also email us at info@777sign.com, and we’ll respond to your inquiry quickly. Customize the perfect advertisement flag for your business today. Accepted File Formats: .JPG .PDF.